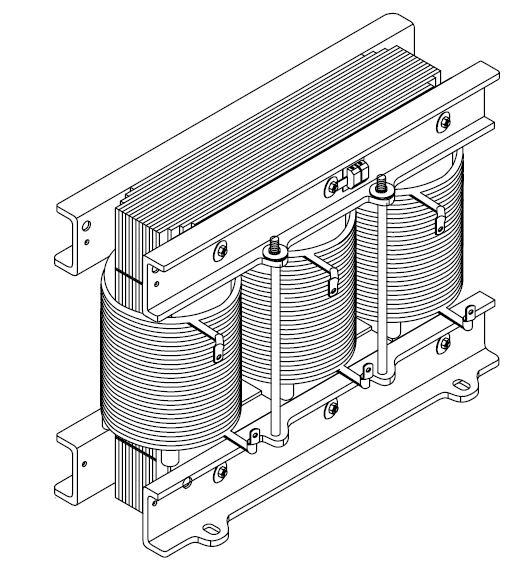 Neptune filter circuit are designed as three-phase reactors with an iron core and air gap.Harmonic Filter Reactors are made out of highest quality material and very stringent quality control. It has been designed with properties like low temperature rise and lower flux density so that it can operate in worst conditions of ambient and harmonic overloads. They offer very good degree of linearity. Cheaper and non-linear reactors may trigger undesirable chain phenomena during periods of operation with high harmonic values, such as reducing in the inductance with consequent increase in the resonance frequency of the LC group, which would drain off more harmonic current, further reducing its inductance and overload the reactor more and more. Reactors are available with filteringfactor of 7% and 14% in 12.5, 25, 50 and 100 KVAR rating. Any other filtering factor and rating can be made on request.